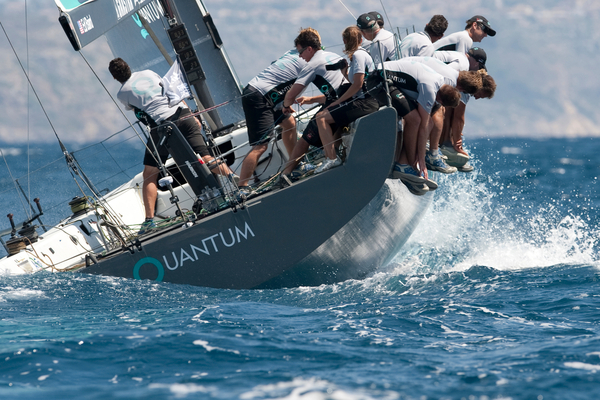 Quantum claimed victory in the opening race of the day and remarkably maintained second place in race two despite offloading trimmer Brett Jones to their chase boat after he injured his hand mid-race. 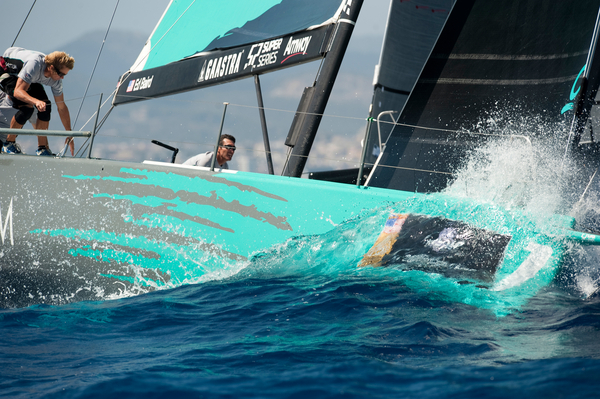 Jones was taken ashore where an ambulance awaited and has since been treated for dislocated fingers. 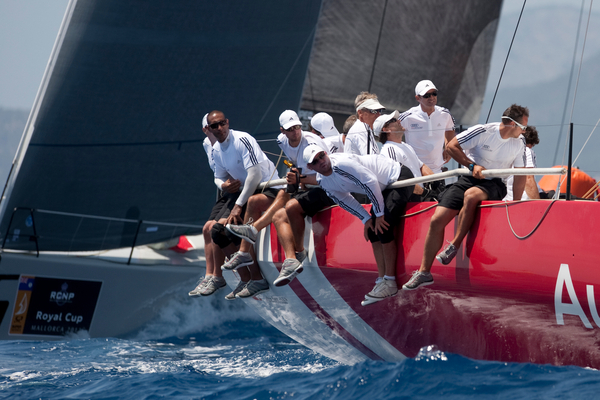 Meanwhile, the shorthanded crew held firm in second place to extend their overall lead in the regatta from one point to three. 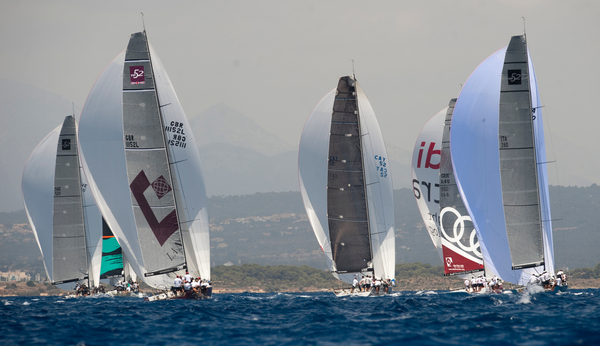 Rán racked up a second and third to remain second on nine points, followed by Audi Azzurra Sailing Team on 15 points, who were disqualified in race one but claimed their first win of the regatta in race two. In fourth place are Audi Sailing Team powered by All4One, followed by Provezza, Gladiator, Aquila and PowerPlay. 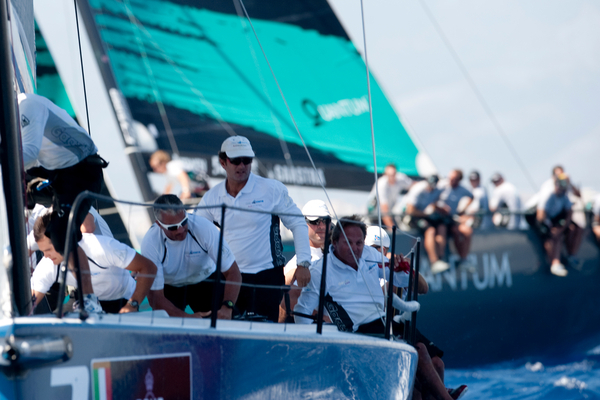 The first race of the day set the stage for the carnage that was to come, with a collision at the second windward mark rounding resulting in damage to Gladiator and PowerPlay. Gladiator were leading the fleet when they failed to make the lay-line and found themselves heading into the chasing pack and on a collision course with PowerPlay. 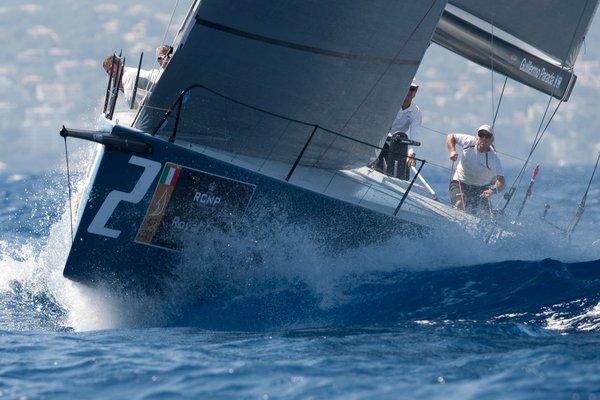 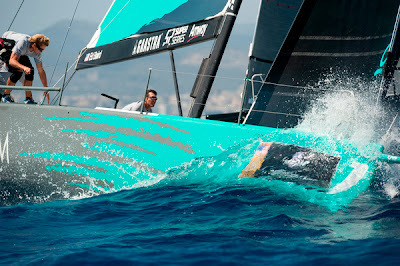 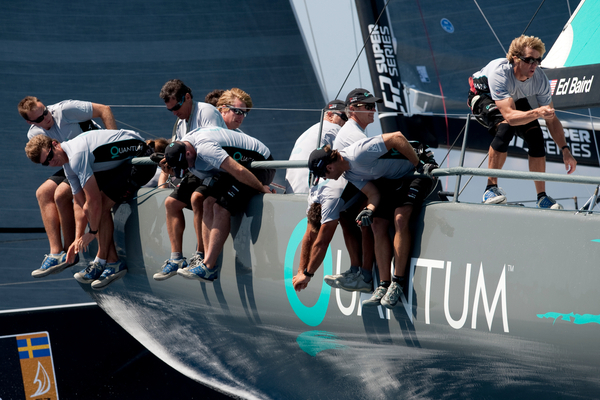 An on water jury found that Azzurra had failed to give Gladiator the appropriate room to avoid the collision and ruled that the Italian/Argentinian team perform a penalty turn. PowerPlay limped to the finish with broken port stanchions and minor hull damage, and later retired from race two. 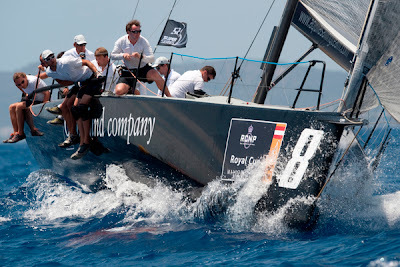 Gladiator were forced to retire from both races with damage to their bow sprit and bob stay. 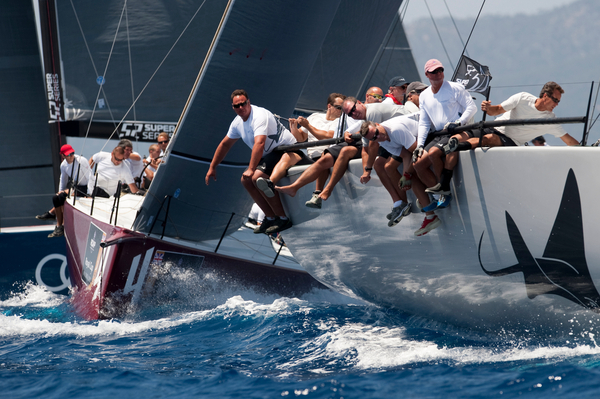 The third day of the four-day Royal Cup continues on Friday at 1300 local, 1100 UTC.